Dan Perrin is a nationally known policy leader on public debt, social security, healthcare, and Seniors Issues. A civic leader and a lobbyist, Dan has served in various positions in the public sector such as being a staff member of the U.S Senate Steering Committee and the U.S Senate Committee on Foreign Relations. Dan Perrin has been President of The Seniors Center for six years. He is a health policy advocate and social security expert. During his career, Dan has served as a businessman, an advocate, and an educator. Dan served as a legislative staff in the U.S Senate Committee on Foreign Relations for seven years. Before securing this coveted position, Dan was also a professional staff member of the U.S Senate Steering Committee. In 1993, Dan founded the website “HSA Insider” where he ended up being the editor-in-chief of the website until it was sold. During the entire time that he was the head of HSA Insider, the website was ranked as the number one website in as far as the field of Health Saving Accounts was concerned. His service as a Staff Member for the United States Senate and later as a lobbyist for Seniors Issues prepared him for his current role as the president of The Seniors Center. The movement focuses on securing Social Security Trust Fund for the retired people while advocating for a means of repayment of the funds from the Social Security Fund into the Federal Budget. Dan has been able to make his impact felt drawing over 450,000 senior citizens who do an incredible job in influencing legislators on emerging issues that affect the life of the retired citizens. In 2008, Dan co-authored with Patrick Rooney the book “Health Care Crisis Solved: Money-Saving Solutions, Coverage for Everyone.” The book was well received as it provided concrete assistance to real consumers. The book also provided the smartest solution to America’s number one problem of health care that was yet to be delivered. Dan also produced the “HSA Road rules” that provide almost every information there is on HSA. In fact, the copy was well received with over 1 million copies being downloaded. Key players in the market such as insurers and bankers considered it as the “bible” of the HSA Industry. In as far as his writing is concerned, Dan has been able to write for reputable sites such as the Red State and The Hill. His writing has seen him being quoted by major newspapers Throughout the United States such as The New York Times, The Wall Street Journal, the Los Angeles Times, and The Washington Post. Dan publishes 5 websites: TheSeniors.Center, TheSeniorsCenter.Blog, CouncilforRetirementSecurity.org, ReformSSDINow.org, and KeepOurTrust.org and is an active contributor to Facebook, Twitter, and Quora. 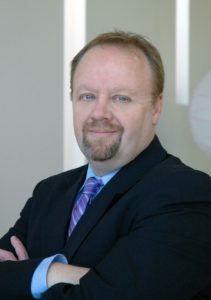 Dan attended the University of Massachusetts, Amherst where he graduated with a Bachelor of Arts degree minoring in majoring in political science. Dan has six children and drives a large SUV which he hopes to soon fill with grandchildren. He enjoys camping and fishing with his family and is an enthusiast of youth sports, especially soccer and lacrosse. Learn More about The Seniors Center.